Hockey-obsessed tomboy Eleanor Westley has never been the object of a guy's affection before. So when the hottest boy she's ever seen moves in across the street and starts treating her like she's the center of his universe, naturally she's going to be a little skeptical. But everything starts to make sense when girls who look just like Ellie start dying all around the city. Obviously the new guy is the killer, and of course he only likes her because he wants to slice her into tiny pieces. Right? 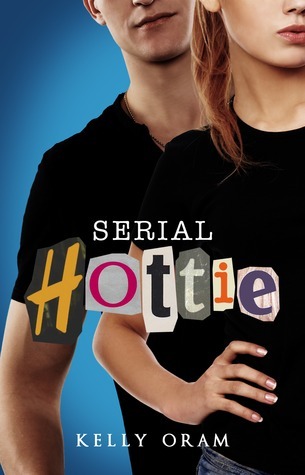 The more Ellie gets to know Seth the more she's convinced he's a psychopathic killer. Problem is, he's the sweetest psychopathic killer she's ever met. Not to mention he's brutally hot. No matter how hard she tries, she can't help but fall for him. Will Ellie find true love, or will her summer of firsts turn out to be a summer of lasts? Oh my God I loved this book! It kept me glued to the pages and I couldn't stop reading! I like a good mix of romance and mystery. And this was really amazing! I liked all the characters in this book. And I think it might even be the first time. Well, okay, Angela wasn't really my favorite, especially at first. But then I started to like her and she was very protective of Ellie. I liked how they've grown close over the time they got to spend together during the summer. I liked Seth -a lot-, though I admit sometimes he actually acted a bit psycho and/or creepy. Kind of scary. But he was also very sweet and passionate and hot and intense. I understood Ellie's attraction and at the same time fear. Especially if he was the first guy she really liked and who really liked her romantically. He could be very intense. Too intense sometimes. But it was clear he was so lost and in love with her and he didn't know how to behave around such a different -and scared- girl. I really liked Ellie too, although she also kind of got on my nerves at first when Seth was too close to her for comfort. I did get that it was new for her, but.. Jeez, calm down, girl! He's just trying to know you better and to get you to like him too. I get that he's too intense and enthusiastic, but still, try and relax! Other than that, I liked her boy-ish attitude and that she played like a boy with her male friends. She's a strong girl. And even while discovering her girly side, she still could be herself and play with her friends as usual. And she's got balls! Well, except when it came to finally accept that she might have feelings for Seth. That scared her to death and made her bolt like all Hell was chasing after her. But when it came to fight for her safety or for her sister's, she got her balls and fought like the kickass she is. Go girl! I was disappointed to not get to know better the J's, but for what I've seen they're good friends for Ellie and they all love each other a lot. It cracked me up when the J's got back from camp and Ellie launched herself -literally!- at them. I've read that scene twice too. Dave was fun too. Cracked me up at Ellie's birthday party. And he, too, is a good friend. A nice guy. Travis totally creeped me out and disgusted me. He was just an idiot, jerk, pervert, crazy and seriously in need of therapy. Ellie's parents were cool and even managed to crack me up a couple of times. I can't reveal anything about the Saturday Night Slasher, and so, I'll just finish up here my review and say YOU MUST READ THIS BOOK! ABSOLUTELY!